Building upon the success of the original Orange Line bike path, Metro and LADOT have begun construction on an extension that stretches from the exclusive right-of-way terminus at Canoga to the Chatsworth Amtrak/Metrolink Station. The extension will extend the busway and the bike and pedestrian path northward for an additional four miles. The Metro Orange Line Extension will have new stations at Sherman Way, Roscoe, Nordhoff, and Chatsworth. Here is a quick summary of the bike parking facilities that each new station will provide. Here are some details about the new facility. 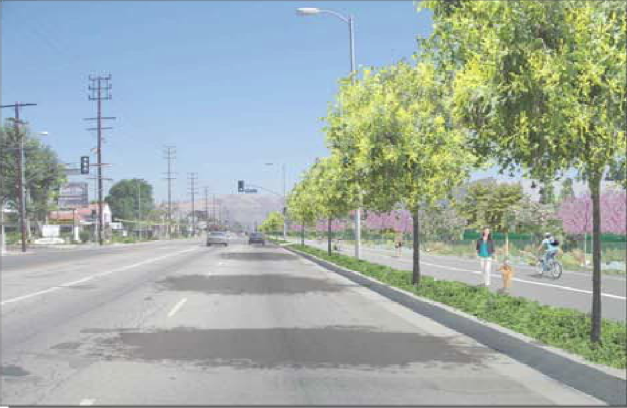 From the Metro Orange Line Canoga Station to Vanowen Street, the facility will be a 10′ wide multi-use path. 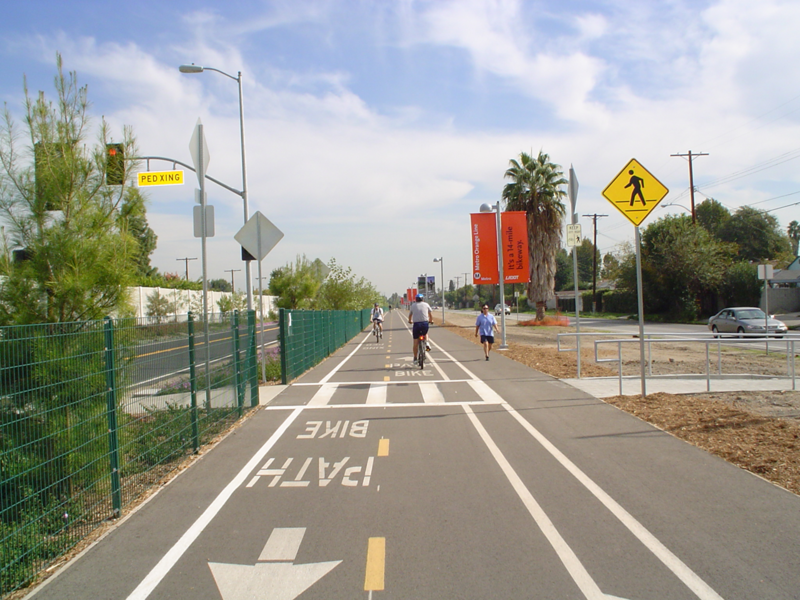 The new bike and pedestrian path will run between the busway and Canoga Avenue from Vanowen St. to the terminus at Lassen St.
As always, we’re always looking for comments/suggestions from you guys. Feel free to leave a comment below about what you like or don’t like about the existing Orange Line bike path, and/or what you would like to see in the new facility. Your input is greatly appreciated.